Try out our friendly and relaxed classes at any time. Complete beginners can start any Monday without the need for a partner - just show up! You do not need any previous dance experience to attend the classes. Classes are fun and include loads of great exercises based on musicality and technique. £8 per class (£12 for Intermediates who want to take advantage of learning the fundamentals of Tango and do the beginners class first). Argentine Tango is a beautiful dance and everybody can learn it. Our classes are friendly and relaxed and we teach the authentic Argentine Tango that is danced socially and has become popular worldwide. 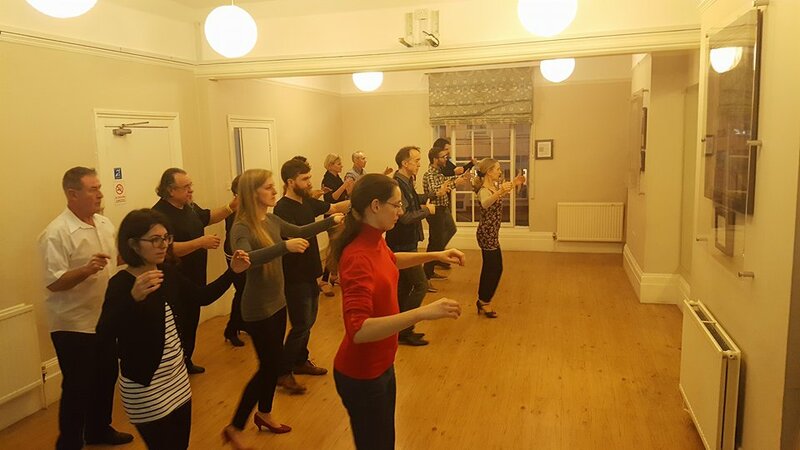 The classes are fun and well-structured, focusing on musicality, technique and exercises, as well as easy to remember figures that you can remember on the dance floor.